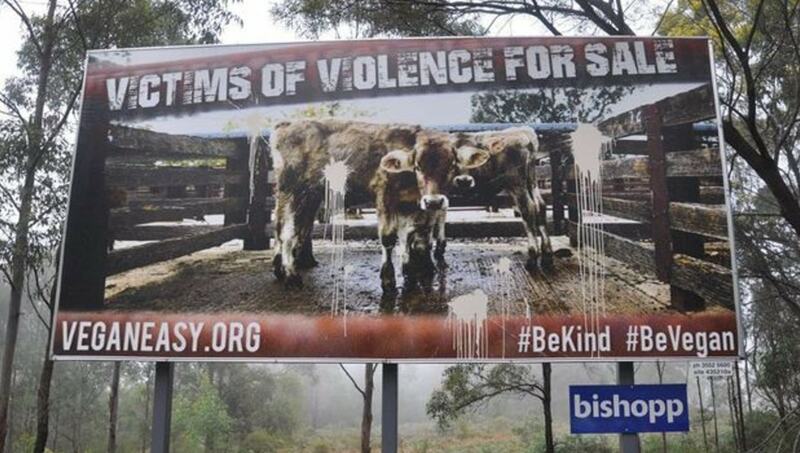 A vegan billboard in Australia has been targeted by vandals - angering the local animal rights commmunity. The board - which condemns the sale of cows for meat - is located outside Toowoomba, on the New England highway. It appears to have been blasted with a number of paintballs. The board, which was installed by the Vegans in Toowoomba group, is one of a number in various locations on major Darling Downs highways, all placed in January of this year. It shows an image of three calves in a sale yard and is emblazoned with the slogan: "Victims of violence for sale." According to Vegans in Toowoomba member Renata Halpin, the billboard was paid for by 'the many vegan supporters from all over Australia'. Halpin added: "This action brings more attention to the billboard's message that animals for sale are victims of violence. "It is sad that property is damaged and freedom of speech is not respected. "Our message is simple. 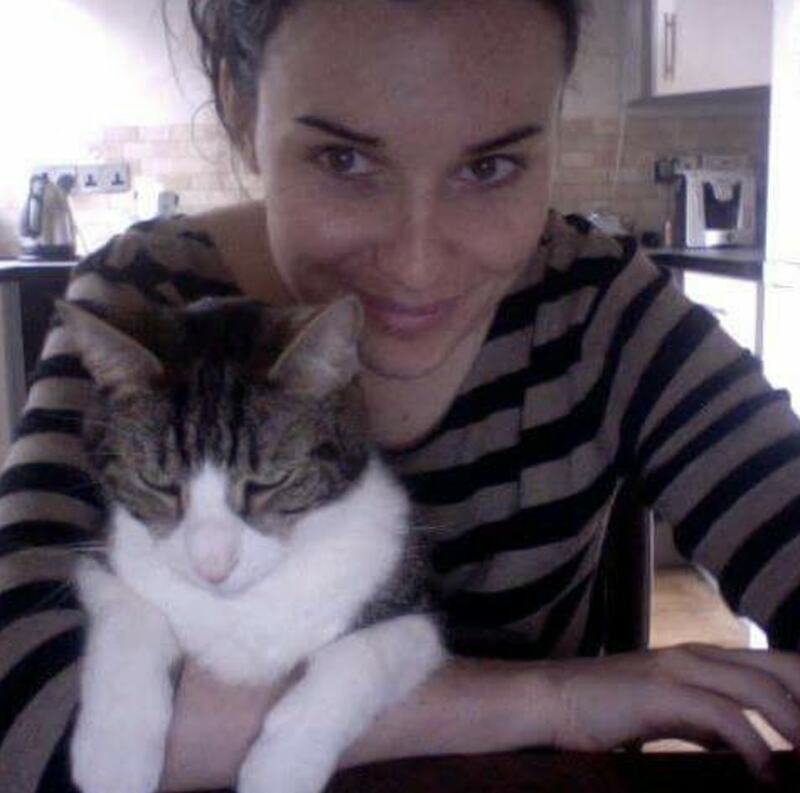 Be kind, be vegan, for the animals, for our health and for the environment." 'Worst Wildfire On Record' Rages On: What Simple Action Can We Take To Help?